A: Of course, we have been handling different type of group from all over the place. We can do private group or in a share basis. Please send us all your information about your group (Minimum 10 Adults) and a little description of what you are looking for. 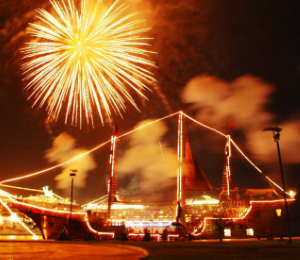 I have been to the Bahamas many times, but Buccaneers Night Dinner Cruise is one of my favorite trips! It includes everything that everyone should do here. As a Bahamas veteran, I can say only the best about this experience!